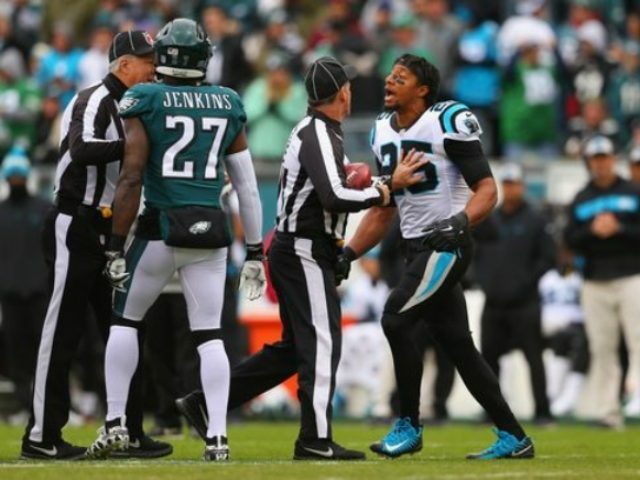 There was a time when Carolina’s Eric Reid and Philadelphia’s Malcolm Jenkins were allies fighting for the cause of social justice. Well, those times are over. While, as fellow anthem protesters, Reid and Jenkins would seem highly unlikely to be enemies, the history between the two is complicated. Malcolm did text me this morning asking if we would be comfortable ending our demonstrations if the NFL made a donation. At that point, that was the last straw for me. He had a conversation with the NFL. We agreed that multiple people would be part of the conversations with the league so it just wouldn’t be him. He didn’t stand by his word on that. At no point did we ever communicate an agreement with the NFL to end the protest. I haven’t been satisfied with the structure of the coalition or the communication Malcolm has been having with the NFL on his own, speaking on behalf of protesting players when he doesn’t protest. We communicated these concerns to him numerous times and have had numerous phone calls about it. Our concerns haven’t been reflected with how the organization is being run, so I felt like I needed to make a departure from it. Reid is in his first season with Carolina after missing the first few weeks of the season.